Wayki Wayki Blog: Hermetic symbolism in Catholic Churches. Due the recent short blog about Knights Templar symbolism in a church near my current location, I decided to hunt for more symbolism in more churches nearby, I was not disappointed. 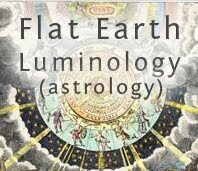 To start with, alchemy has its roots in the Hermetic traditions of Hellenistic Egyptian mystery schools, and the Church has its roots in Egyptian religion. 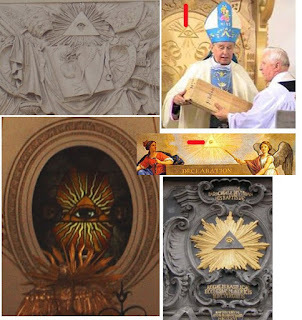 The Vatican is a strong arm of the Illuminati/world elite as it keeps people in fear and in the mind set of power is external.....collecting tax free cash too. How can we prove these statements and links? 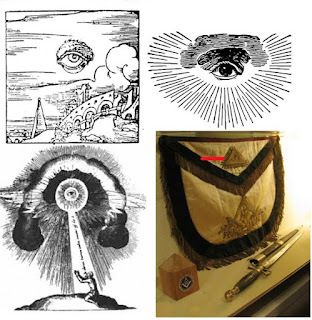 Well, the chapters on Symbolism and Religion in Wayki Wayki both introduced much of this proof but let us look a little more. 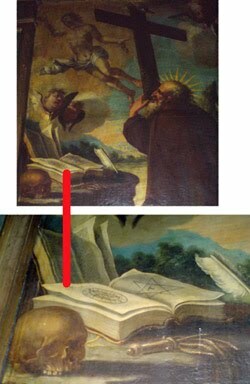 The first church I went in showed a book and a man holding a cross with a sun behind his head. 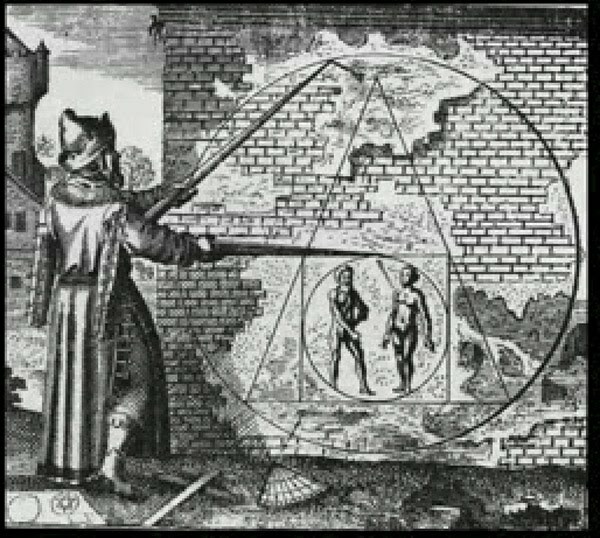 This is a man performing the alchemical “operation of the sun,” the cross is symbolising inner death, the strange flying creatures are astral entities and the book shows the Tau cross, the star of David (or tetrahedron) and other geometry – the laws of nature, the skull shows mortality of the flesh and the whip was used in Egyptian rituals. 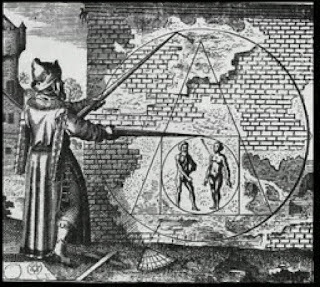 This is a picture of Hermetic alchemy. 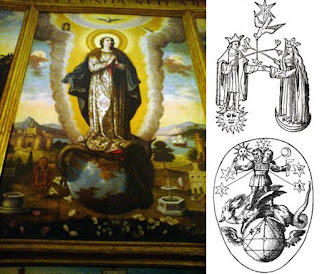 The Catholic painting above was found to show many similarities to that of Hermetic alchemy. The diving dove is found all around the catholic world, and is said by Catholics to represent “The Holy Spirit." Holy Blood Holy Grail says is comes from the Cathara (who were killed by Roman attack). "In the Ancient Mysteries, the Dove was the symbol of the third person of the Creative Triad, the Trinity.” It was taught that as the lower worlds were brought into being through the generative process the Dove was to be associated with those goddesses who were identified with the procreative functions. We find therefore, this pure white bird sacred to Venus, Astarte, and Isis. Not only is the Dove the emblem of the maternal instinct with its gentleness and compassion, but it is also the Messenger of the Divine Will, portraying the Power as well as the Wisdom of the Creator." We also see it used in the OTO secret society logo and in other Hermetic Qabalistic diagrams. 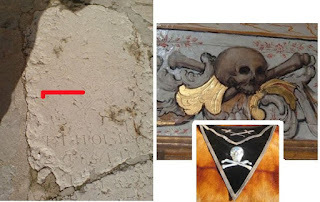 Note the church showing the black and white floor which is prevalent in Freemasonic temples. Below I saw some harmless gargoyles and above each was a crown – to show ascension high above where a man would sit. At close look, the two gargoyles that had not broken showed the study of gematria (numerology) and geometry – both Qabalistic methods. The Geometric gargoyle links to an alchemical picture showing the Hermetic axiom “as above, so below”. 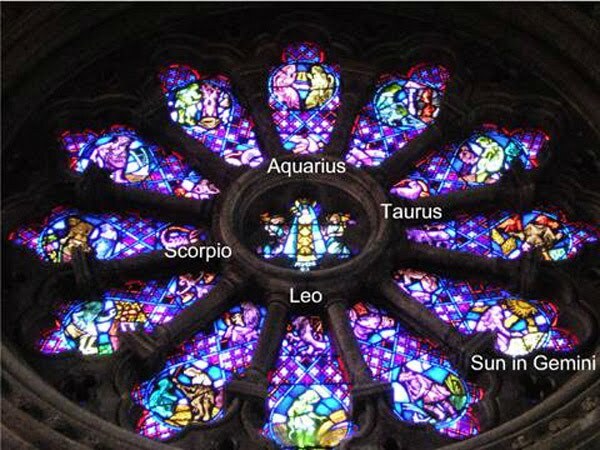 I then came across the cross with the 4 signs of the zodiac and 4 elements, Eagle for Scorpio (water), Man for Aquarius (air), Lion for Leo (fire) and the Bull (Taurus) for earth. These are the Chaioth Ha Qadesh: holy living creatures in Qabalah representing the Yetziratic world of formation within the Highest Sephirah ‘Kether.’ A few minutes later I found the same symbolism on another Church. Note that these 4 signs of the zodiac are opposites too. 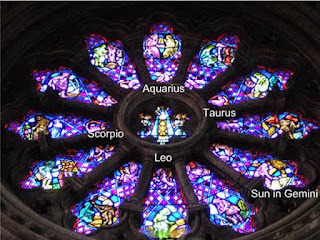 If you think the zodiac link is a coincidence then look at the Rose window at Notre Dame Douvres La Delivrande, Mary with horns (Isis) in the center, Sun in Gemini, the place of the full glory of the Sun at the Summer Solstice era-2012. Yep, and the Catholics killed the Pagans and called them heretics, the fact is that they wanted all the knowledge for themselves for power and control. We covered much of the “all seeing eye” in Wayki Wayki but it was also used in Rennaisance times within Hermetic Alchemists. 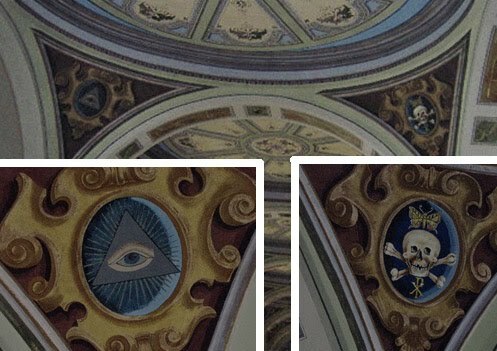 It is now used by Freemasons and the Illuminati. This is a fact that cannot be disputed. 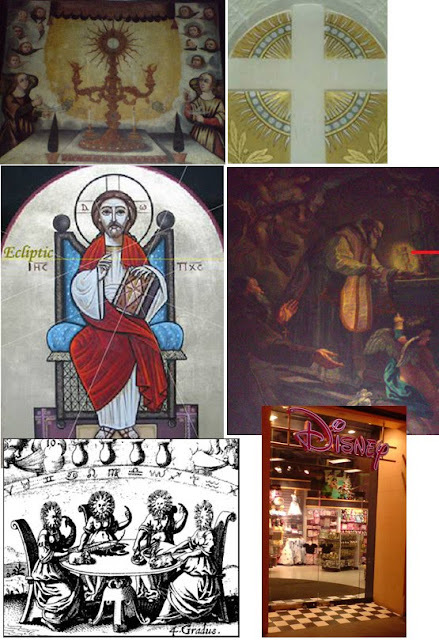 So we wouldn’t expect to see it around churches would we, knowing that world elite currently use it (e.g. dollar bill, Hollywood movies, corporate logos etc), would we? These are from research and not my Church tour. 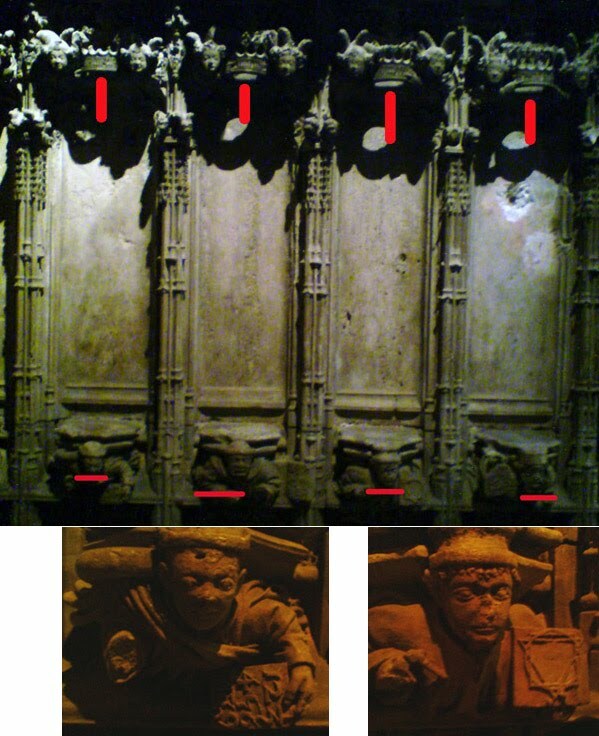 Note the eye on a black background – this is in Aachen Cathedral, in Aachen, Germany. Aachen Cathedral is the oldest Roman Catholic cathedral in all of northern Europe dating back to the middle ages, and the burial place of Charlegmagne, where most American presidents can trace blood lineage too. I also came across the skull and cross-bones too, and found this is all over many Catholic churches. Also, from my day trip and research I found the solar disk, the birth of the inner child (alchemy), paintings with geometric angles marking the Earths tilt, more sun symbolism, and to top it all off, on the way home I walked past a Disney store (see chapter 1 for Illuminate links to Disney) with Freemasonic tiling. In the Disney shop, just like in the churches, were people of the matrix, people that if I tried to explain any of this too would call me a weird nutter, a modern way of calling me a heretic. All will be revealed with time so I am at peace. And to be honest, the church is much like Disney, both illusions, both launch false grenades into the physche, and both collect millions in cash. The seven dwarfs are the seven chakras and there are lot more other esoteric links in other of their films such as sleeping beauty. 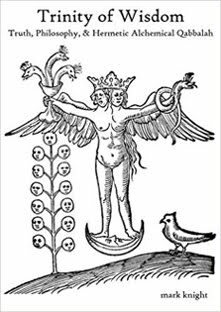 If you’re interested in more alchemical Hermetic church symbolism then read Fulcanelli’s 1926 Mysteries of the Cathedrals, he was a master alchemist and goes much deeper than this humble introduction. Wow, how many people on this planet are being duped? It’s hundreds of millions, and they are being kept in FEAR, and kept in the thought that power is EXTERNAL. On my hunt for symbolism in Churches I saw many people praying – all looking like they were asking to gain something; “Please god, I WANT something, please god, heal someone I KNOW.” It’s all wrong. How about just sitting in awareness and being grateful? Some go to church to plead for forgiveness as they lug around lots of guilt and pain – the only person or power that can really give forgiveness and alleviate guilt and pain is......drumroll...fanfare.....dancers.....yourself. 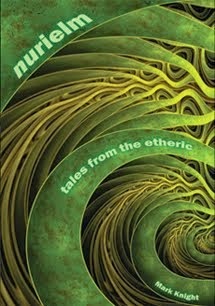 So, we are a species that follows blindly, man-made “off the self” religions. People give their souls and belief systems because they are "cultural" with no thought for research or inquisitive intellectual independent thought? In Europe only a few hundred years ago nearly everyone was a Catholic without ever even reading a bible, it was really only the people in monasteries that had books and could read until recently. The Christian faith and the Vatican are a main part of the Illuminati, the Popes and Cardinals are occultists and sun worshipers, but the dogmatic exoteric doctrine they peddle hides their hidden stream of Qabalah, Hermetic, Egyptian and Pagan thought. If you know your history and symbols you begin to see it everywhere, and around Europe especially. Also after reading The Dead Sea Scrolls Deception this week, my care to help youngsters stay clear of Catholicism is well motivated and based upon truth, which is really the only real religion there is. Catholicism is an enemy of Truth, Science and History, fact. 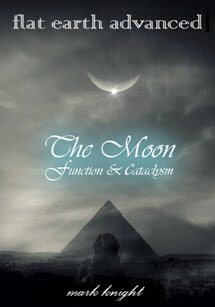 This whole blog is just another tiny piece of the jigsaw to show how the Illuminati keep ancient wisdom from Egyptian mystery schools away from the masses and use it against us. They put this fact in our faces but we are too caught up in the ego to notice, oh how they must laugh whilst they harvest the people’s energy. 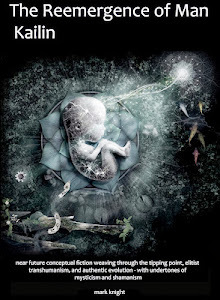 A modern and positive look at Hermetic philosophy will be revealed in the coming Trinity of Wisdom book, this wisdom is to be shared and used for good in the coming times. 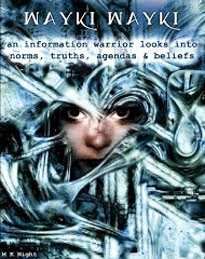 Two amazing online documentaries at present are architects of control and kymatica, check them out.....or go shopping, listen to your ipod (i-disconnect), or watch X-factor....it’s up to you. 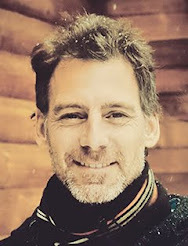 I would also like to mention the amazingly designed unique online magazine QW – this a great direction for online truth media. Nice, very nice work - clap clap! 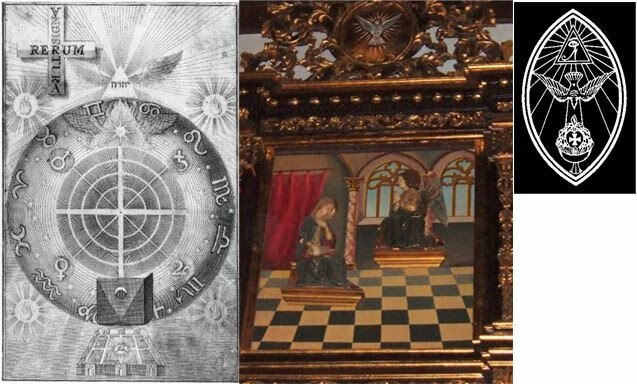 Quote "According Signs and Symbols in Christian Art the Butterfly (seen above)"
Moreover, the Butterfly is also almost exactly the same shape of our Sphenoid Bone that our Pineal gland sits on. In ancient Greek the word for butterfly is "Psyche", which translated means "soul". And In ancient mythology, the butterfly stands for wisdom and everlating knowledge. There is a small town in Mexico that also associate butterflies with souls. It is to this town that Monarch Butterflies migrate every year, around the holiday known as the Day of the Dead. This really interesting blog.Aachen cathedral is really part of heaven and it is one of the best historic place for peacefulness and religious things.Nice blog.